Home and small business customers who want to reduce the costs of printing everyday documents, images, reports, web prints and photos, while still receiving superior reliability and impressive print quality. F6V33AA Home and small business customers who want to reduce the costs of printing everyday documents, images, reports, web prints and photos, while still receiving superior reliability and impressive print quality. 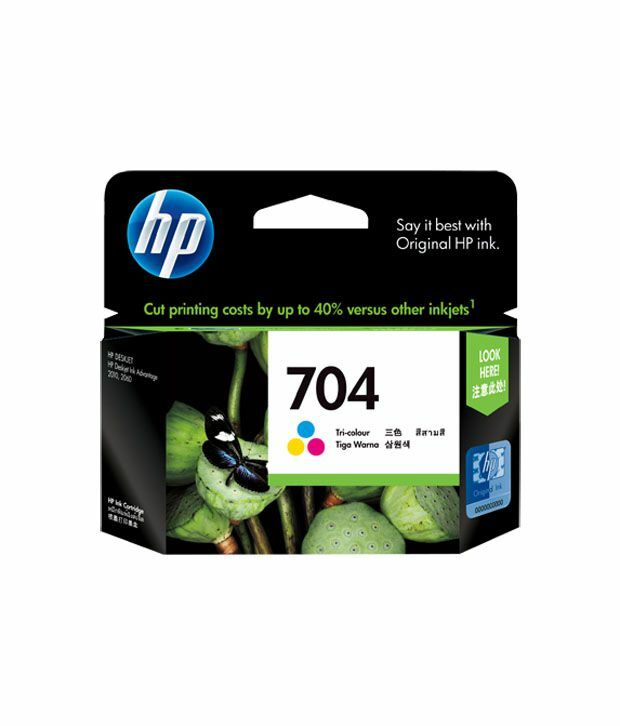 The HP 704/704 combo pack of Black / Tri-color Ink Cartridge help you in your need to print both your black and colour printing of text, images and photos. It comes in one convenient pack and delivers fast printing in laser-quality black text and life like images with tri-colour. The pack has ink drop of 13.5 pl and 2.3 pl, 8.5 pl for black and tri-colour respectively and has page yield of 480 pages for black ink and 200 pages for tri-colour. To Recieve updates and possible rewards for Hewlett Packard (HP) HP 704 2-pack Black Tri-color Original Ink Advantage Cartridges please sign in. To Recieve updates and possible rewards for Printer Cartridge, Ink & Toner please sign in.